Jennifer was wonderful. She was well informed, communicative and a pleasure to work with. I felt heard and understood, and her final product reflected my goals. She was a true advocate for her client. Smart, fierce and friendly. Would highly recommend. I had found Jennifer after having a not so great experience with another. During my consult I knew immediately by her confidence, positive force and empathy that I was with the right person as I was desperate for help. With her help things moved quickly and I was involved every step of the way with her guidance. She is truly amazing at what she does and made a very difficult time in my life seem not so difficult to achieve closure and finally, peace. Jennifer was extremely helpful in helping me navigate and resolve a last minute prenup days before my wedding. She was very responsive and helped make a stressful time much more manageable, I am forever grateful for her help. I would not hesitate to recommend Jennifer Courtney to anyone that is contemplating divorce. She is knowledgeable, compassionate, efficient and trustworthy. She truly listens to you as a client, and offers fair and sound advice. Jennifer made a difficult process as painless as possible, and it was a pleasure working with her – she and her staff are true professionals! Jennifer was extremely approachable, responsive, knowledgeable and efficient. I feel lucky to have had the good fortune to have found someone like her to navigate me through what was a very uncharted process for me. Jennifer was not only a professional in every aspect, she is also an extremely warm and heart felt person. Divorce is not an easy process to go through but having Jennifer in my corner made the entire process much easier. I would highly recommend Jennifer to anyone that is contemplating divorce. Jennifer was there for me during a very insane time. An attorney, that I had used previously, years ago, informed me my divorce was finished and everything was good. To my chagrin, I found out I was not divorced. Jennifer took the case, using some of the old information, and got the divorce settled and done. She was always great in keeping my spirits up, both professionally and personally. Very happy with the service that both she and her office personnel gave me, whenever I needed it. Jennifer Courtney is top notch!!! She made my entire divorce process extremely easy! Down to earth and easy to get in touch with! Her assistant, Teresa was also pretty amazing!! I highly recommend this firm!! 5 stars!!! Jennifer Courtney’s office seeking help with a divorce that was not of my choosing. I had lots of questions and concerns. All the legal issues that I was facing made me feel like I was drowning. When I left that first meeting with Jennifer, I knew that I had made the right choice. I had found someone who could competently and compassionately guide me through the maze of legal issues that accompanied such a painful situation. Throughout the entire process she provided great communication and care with the necessary tasks. I always felt that the circumstances were under control and that I would make it through a situation that had seemed like such a nightmare. Jennifer took a nightmare situation and turned it into a manageable challenge. And now that it is over, I am thankful for the choice I made and would not hesitate to recommend Jennifer Courtney to anyone else. Jennifer Courtney and her law firm represented me better than I could have imagined. My opinions were valued and my doubts were reassured. The entire process of divorce and custody is a stressful and emotional process, but Jennifer put my mind at ease each step of the way. The process moved along as quick as it could have and the outcome was exactly what I had wished for myself, as well as my daughter! Thank you so much! Deciding to obtain a divorce is a very difficult decision to make. It can seem overwhelming at times. I took a great deal of time contemplating my decision. I had many questions and concerns related to my children, our home, and finances. Jennifer and her staff made the process bearable and provided a great deal of guidance and support. Her knowledge and expertise alleviated many concerns and allowed me to begin a new chapter in my life. I am happily living a very fulfilling life with my children. Thank you Jennifer Courtney Law for all of your help! Jennifer Courtney and her staff made the painful process of my divorce a little bit easier. I found her to be knowledgeable and tough, yet sympathetic and fair. She always got back to me in a timely manner, and was compassionate with my concerns. I have recommended her to several people who have all had the same positive experience working with her. What a great Lawyer Jennifer Courtney is. She gave me her lawyer’s point of view and then she even gave me a woman’s/mother’s point of view when it came to my custody and divorce. Jennifer Courtney was always on top of things regarding my custody and divorce and kept me well informed of what was going on an if there were any changes via meetings, phone calls an even emails. Even when she was out to the office, other staff members kept me posted, which was a great feeling. Jennifer Courtney is a down to earth lawyer who has the best interest of her clients and her client’s children at heart and I highly recommend her to everyone. The Law Office of Jennifer Courtney, Esq. is amazing to work with. My divorce was taking excess time with another previous attorney at another firm, and was tired of waiting for my divorce to come through. Jennifer helped me finalize my divorce in a timely manner. Jennifer and her staff were very accommodating regarding appointment times, as I work full time and can only meet after 5 pm. They work with you and your schedule to make sure you have enough time to discuss your situation. Jennifer also is very efficient at answering all of my questions and responding to my emails within the same day. I highly recommend her legal knowledge and her office for advice and for legal counsel. In 2017, I hired Jennifer Courtney to finish my QDRO from my divorce which started in November 2012. My first attorney charged me but never finished the job. It was clear she did not know how but still charged me! Jennifer was efficient, smart and very organized. She immediately took charge of my situation and processed it through until it was finally resolved the end of 2017. She did not let up and did all of the work including contacting my ex-husband which for me was unpleasant. I should have hired Jennifer Courtney to handle my divorce from the beginning. Additionally her staff was very helpful and knowledgeable and never treated me like I was an inconvenience. Jennifer Courtney Law office renewed my faith in attorney’s offices since my previous experience was terrible. Thank you Jennifer. Jennifer was wonderful to work with. She was committed to getting the best possible outcome all the while being courteous, communicative, and professional. Jennifer is great! My first contact with Jennifer was through a consult. After having gone through two other consults with other legal firms that did not sit right with me, I knew Jennifer was the attorney to represent me. She provided legal services and advice during a very difficult time in my life. While no one wants to experience the challenges and heartache of a divorce, Jennifer provided such compassionate, understanding and professional services that allowed us to successfully navigate the trials of an unwanted divorce and achieve the outcome that God wanted for me. Jennifer respected my position and my religious beliefs about divorce. She provided realistic, sound and frank advice that guided me every step of the way at a time when my head was spinning and in desperate need of legal counsel. Jennifer told my story like she said she would, and for that I am so very grateful. While no one wants to experience such a stressful and difficult time, Jennifer made it manageable and less stressful. I am truly thankful for her professionalism and compassionate understanding. Her staff are equally kind and empathetic individuals who provided such great support and assistance. They are truly a team that worked together for me to achieve our successful outcome. If you are in need of legal services or advice, I highly recommend Jennifer Courtney. I worked with Jennifer Courtney and her amazing office on the Equitable Distribution as part of my divorce, and everyone was helpful, courteous and always willing to provide knowledgeable feedback/suggestions in preparing the documentation needed. I am very much appreciative to have someone to reach out to to help explain each part of the document and all was done in a timely manner. Thank you Jennifer for all of your help! I choose Jennifer Courtney and her firm to represent me in my divorce because I felt comfortable with her from the moment I met her. My advice to any person who is looking for a lawyer is to have that connection immediately. If not, move on to another lawyer. Jennifer allowed me to speak up and ask the questions I needed during my consultation. Some attorneys will dominate the conversation and the room and forget you are the paying client. Jennifer Courtney does not come across in that manner at all. She is down to earth and easy to converse with. Her pleasant demeanor and willingness to work with me throughout my divorce journey made it less stressful. As we all are aware there will always be a few road blocks in any legal matter. My divorce process had a few “road blocks” but Jennifer handled all these issues in a professional, timely manner that was agreeable to both of us. During one of the most difficult times of my life, selecting Jennifer Courtney as my attorney was one of the best decisions I ever made. Jennifer guided me through the divorce process with incredible expertise and compassion. Her extensive knowledge of the legal system coupled with her many years of experience provided me with the steady guidance I needed to navigate my divorce. Jennifer knew what I was are entitled to and fought tirelessly to see that I received it. In doing so, she provided me with a realistic view of what I could expect, sound advice on how to creatively negotiate, honest feedback on when compromise was necessary on my part, and an understanding of the emotional toll divorce takes on all parties involved. Jennifer communicates in an extremely timely manner and always makes herself available for further conversation. Jennifer is the consummate professional. 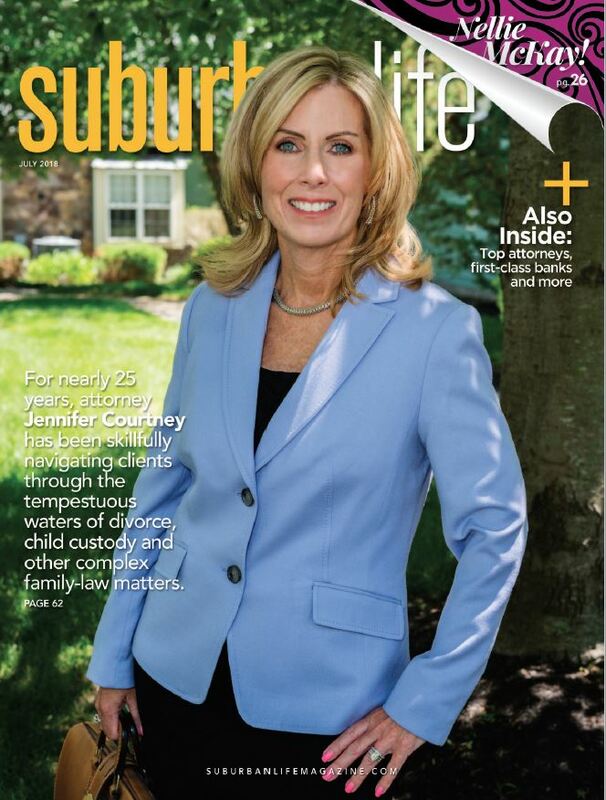 I truly can’t imagine a more honest, supportive, and qualified divorce attorney than Jennifer Courtney. Jennifer Courtney made my divorce process very smooth, quick and easy. Going through a hard time, she made me feel at ease. She was kind and friendly and talked to me like she cared about me and my situation. Id highly recommend anyone to go to her if they are going through a similar situation. I was going through a very difficult divorce and getting nowhere in terms of getting my divorce finalized. Jennifer stepped in and immediately got things moving. She was compassionate and responsive to my concerns. I can’t say enough good things about her. She got it done and put my mind at ease during a very stressful time. Trust me you want Jennifer on your side. There comes a time in a marriage when you need to face the inevitable. The time had come for my family. I had no plan in place but knew change needed to happen. I found the best family law attorney. I have trusted Jennifer Courtney’s advice and me and my children are in a better place today because of it. Thank you Jennifer Courtney and the entire staff at the Law Offices of Jennifer Courtney, P.C. for all of your help. Jennifer Courtney Law supported me with my divorce. I initially selected Jennifer because of her expertise with high income/high asset divorce law and her reputation as a pragmatic negotiator. Jennifer did an excellent job integrating my personal tax accountant into the team, developing a comprehensive plan resulting in a great outcome for me. Jennifer demonstrated good judgement in formulating my defense and related responses. She has a good sense of when to push and what aspects are important versus those that can be negotiated. Jennifer was also very helpful in providing me the likely point of view and position held by the other side. I found Jennifer to be responsive to my concerns, available and focused on my case. The decision to pursue a divorce was perhaps the toughest of my life. However, the happenstance choice of Jennifer as my counsel in this pursuit was the best of an unfortunate circumstance. Jennifer closely listens, remembers and provides a level of confidence sorely in desire in a tough situation. We quickly identified the problems and formulated a plan that eventually attained the fairest settlement that I could have reasonably expected. I highly recommend Jennifer’s services to anyone contemplating divorce proceedings. From the moment that I called the office, I felt comfortable and that I was in good hands. 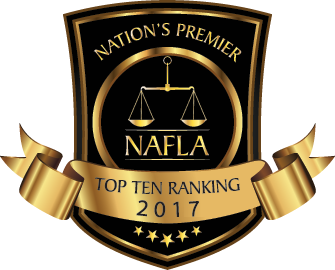 I immediately knew that I had made the correct decision in my selection process for a divorce attorney. Jennifer and her staff were kind, professional, efficient and most importantly knowledgeable. This difficult process was much simpler in Jennifer’s capable hands. Jennifer was always so patient and kind to me throughout the last three years. I really felt that she cared about me and that meant the world to me. Thank you for everything, Jennifer! Jennifer was extremely helpful in navigating me through a very trying time. With the collapse of my marriage and ensuing attempts at a settlement having someone with Jennifer’s experience and calming demeanor guide me through the process was invaluable. Her responsiveness and ability to answer questions in layman’s terms was helpful in providing me with peace of mind throughout an otherwise emotionally charged process. Her knowledge of the law and experience in dealing with divorcing couples was key in getting a quick resolution to my case. “Jennifer Courtney provided me with representation when I was going through divorce and throughout, she kept me informed as issues unfolded. Knowledge and experience along with a highly efficient office staff, replaced my anxiety with peace of mind. The result was a conclusion that was unexpectedly much better than I could have imagined. “Divorce is a tough business, no doubt about it. Divorce is a painful and emotional personal process that involves holistically changing many aspects of your life. It can fracture your identity, challenge your spirit, and literally turn your life upside down. Considering the impact, you really want a strong support team in place to help you weather a time of great turbulence. Undoubtedly, close friends and family will rally around to provide love and emotional support. That said, you’ll still have many questions and fears about the legal process and its issues. “Making that first phone call to Jennifer was one of the hardest things I’ve ever had to do. I was finally acknowledging that something unexpected and painful was happening and my life would probably never be the same. From my first meeting with Jennifer, she was compassionate and thoughtfully listened. She helped me to understand “the process” and the financial impact, neither of which I was truly prepared for. There were lots of questions to answers and paperwork to provide which can be draining. Jennifer always offered her support and was available by phone or e-mail. On a day that she was scheduled to be in court, she provided her cell phone number in the event I needed her on that day. Jennifer never set up unrealistic expectations. If she didn’t think something was worth fighting for, we didn’t. The entire process can be exhausting so when it ended I felt that a huge weight had been lifted off my chest and I could breathe again.